(Sunset, S.C.) – The Reserve at Lake Keowee, a private lake, mountain and golf course community near Greenville, unveiled the first 20 new home plans in its Builder Showcase Program in collaboration with eight of the area’s most reputable custom home builders. Announced in October, the Builder Showcase Program brings together The Reserve at Lake Keowee and eight of its members – all of whom are respected, locally-based home builders. The program offers select Reserve home site owners a streamlined pathway of homebuilding information, resources and expertise to expedite their residency and ultimately maximize their experience at The Reserve. “So many people who visit our community feel an immediate sense of connection and a desire to be here in a home of their own as quickly as possible,” says Chuck Walsh, director of sales for The Reserve at Lake Keowee. “Particularly for out-of-state buyers, the task of building a custom home can seem like a very complex, to the point of daunting, undertaking. They aren’t sure who to trust, and often, they don’t have a reliable gauge of what a home will really cost to build, once everything’s said and done. 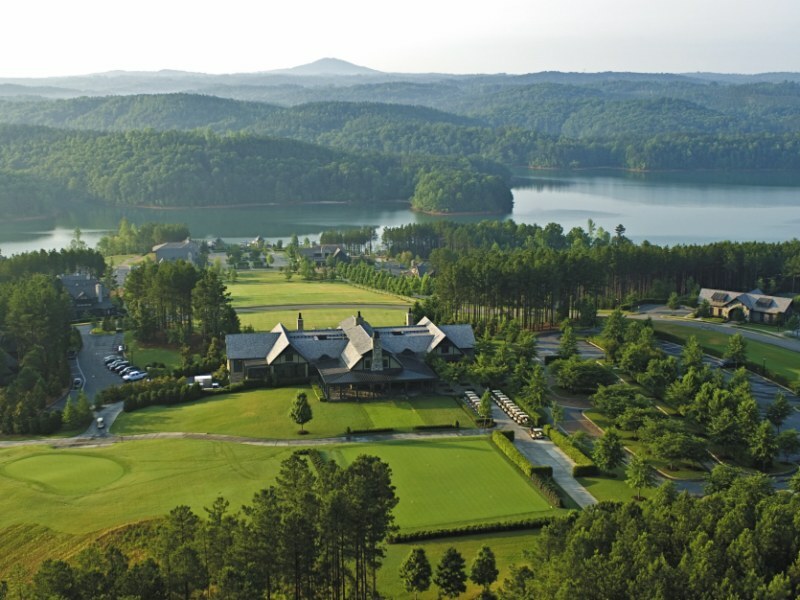 The Reserve at Lake Keowee comprises a membership of more than 550 families from 30 different states. The gated community spans 3,900 acres, including 30 miles of shoreline on Lake Keowee. Created by Greenwood Communities and Resorts, The Reserve offers more than $100 million in completed, family-friendly amenities, including a 200-slip marina, village center complete with guest house, a Jack Nicklaus Signature Golf Course and more than 1,400 acres of parks, preserves, trails and green space. Home sites, complete with club membership, begin at $200,000. Homes in the Builder Showcase Program range from 2,500 to 4,100 square feet. Price per square foot begins as low as $178, with total building costs ranging from $500,000 to more than $1.2 million. These homes were designed to fit with the topography of home sites across The Reserve. (Atlanta, Ga.) – Foxhall Resort and Sporting Club, what is believed to be the first urban sporting club in the nation, has opened this fall just outside Atlanta. The club features equestrian, golf, shooting club, and fly fishing amenities for residents and members, and is located approximately 20 minutes from Atlanta’s Hartsfield-Jackson Airport, the busiest airport in the world. This billion-dollar resort community on the western outskirts of Atlanta is the vision of native son Harrison Merrill, chief executive officer of the prolific Merrill Trust Group, a developer of clubs and resorts throughout the southeast. 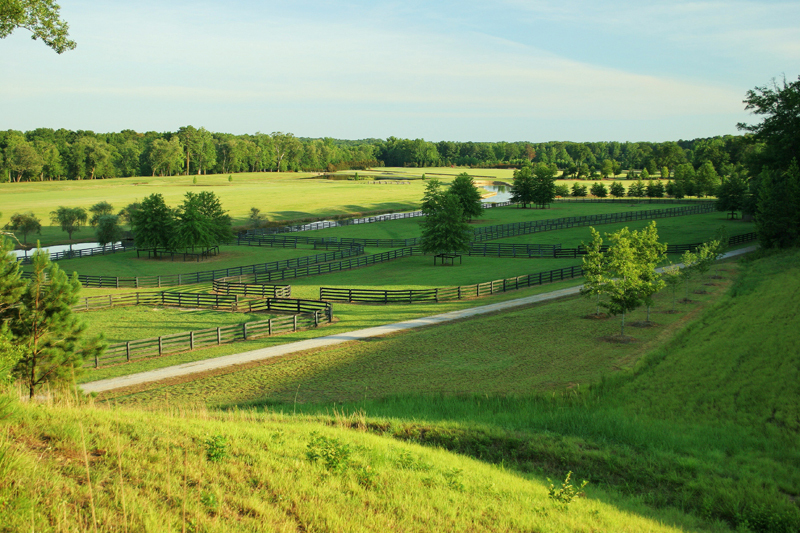 Located on 1,100 acres bordering the western bank of the Chattahoochee River with a world-class equestrian center already in place, Foxhall promises to offer Atlanta residents easy commuter access to country living and sporting club amenities in the southernmost foothills of the Georgia Mountains. Last week the Douglas County Board of Commissioners approved the preliminary plat for Foxhall, allowing for the development of 49 home sites on 61 acres. The first home sites will likely be released for sale after the first of the year. With nearly two miles of river frontage, the historic former facilities of the Foxhall Cup, nine lakes, miles of equestrian track, polo fields, barns, stalls, and a planned 18-hole golf course, Foxhall promises first-class amenities alongside its more than 800 planned single-family homes. The developer has begun construction on its first amenity center at Foxhall, including a clubhouse and infinity pool. Merrill Trust Group, LLC, is a developer of private clubs and resort communities throughout the southeast. Besides Foxhall Resort and Sporting Club, Merrill Trust communities include Sky Valley Resort and Country Club, the highest elevation community in Georgia, Catatoga near Lake Toxaway, N.C., and the oceanfront Daytona Beach Resort in Florida.